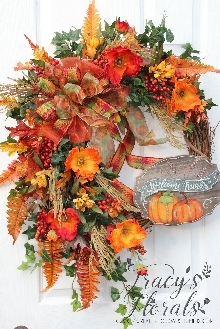 Welcome friends all Autumn long with this beautiful wreath. 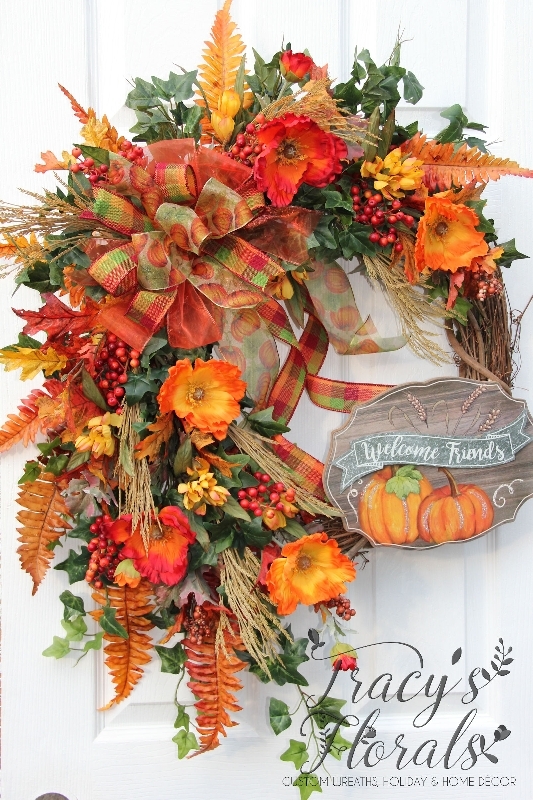 Situated on a grapevine base are green ivy, fall fern, oak leaves, orange and flame poppies, wheat, berries, and Welcome Friends Sign. 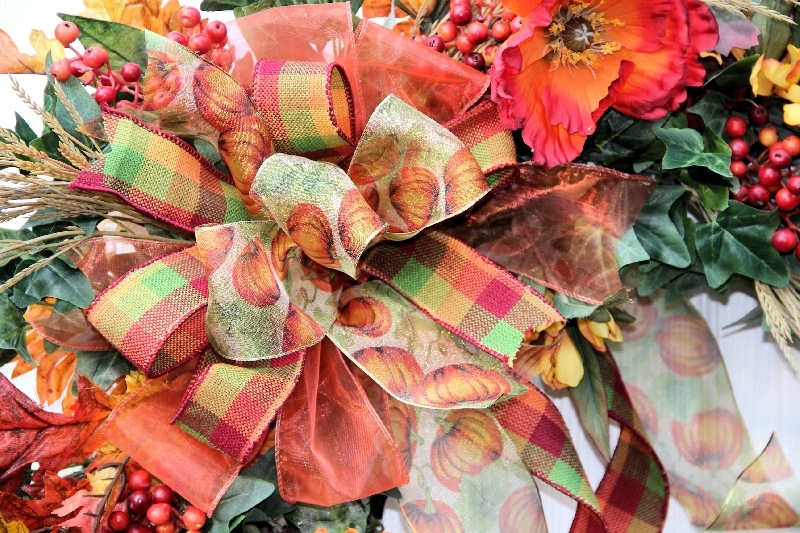 Finished with a sheer solid pumpkin, fall plaid, and pumpkin scene ribbon. 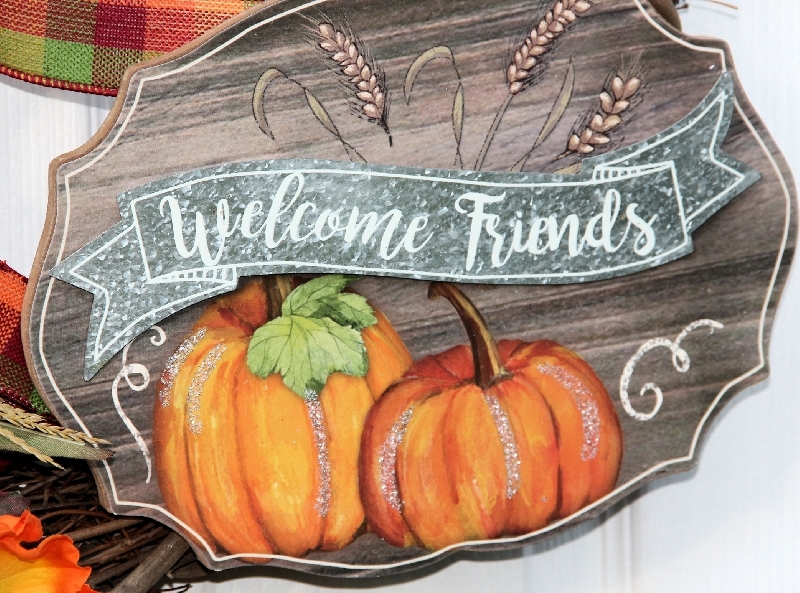 Unique Welcome Friends sign adds the finishing touch. 23"wide, 28"tall, 6"in depth. Approx. ship time: One to three weeks.